Russians are probably the ritziest, and yet also the shrewdest people at your all-inclusive destination. Whether it’s gold chains or buffet thievery, they're sure to make an impression. Every year, hordes of Russians flock to sunnier places in search of suntans and selfies. Just like other cold-climate Europeans, they tend to stand out like sore thumbs. You already know to expect binge-drinking from the English and sun lounger hogging from the Germans; These are the habits of which Russian tourists are most often guilty. If you see a man who has successfully stripped down for the pool but conveniently forgotten to take off his massive gold chains and watches, there’s a good chance he’s Russian. Why is this? Well, one school of thought says that going to places like Italy and France is a sign of status for people who grew up in the Soviet Union. Why not make the most of it? However, it’s also possible that these men are covered in gold year-round anyway, but you just don’t notice because they’re usually wrapped up in winter attire. Nonetheless, some Russian guys on holiday could probably give Puff Daddy a run for his money. The stereotype of Russian men donning sandals and socks might be a fading one, but the beach is one place where the tradition remains alive and well. Flip-flop culture has yet to catch on back home in Russia, and with good reason - why put yourself through the pain of walking on stones? 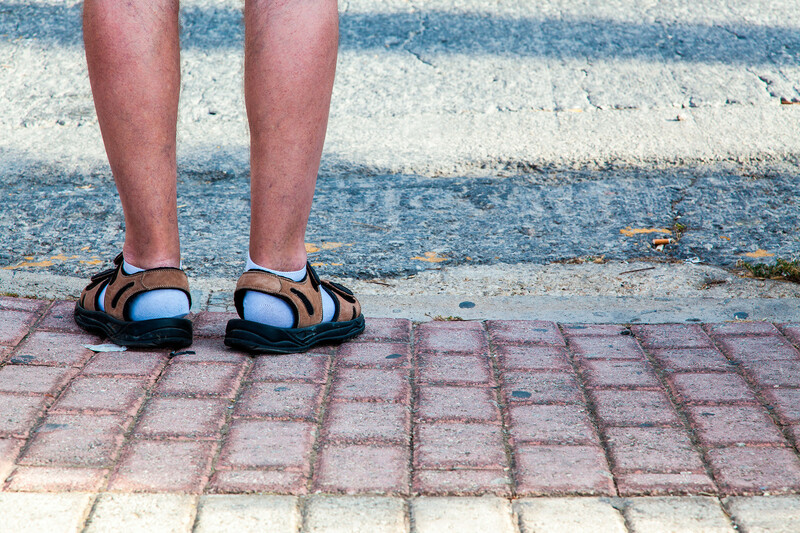 Why bother spending ages cleaning sand off your feet, when you can just wear socks? It’s a fine example of logic triumphing over aesthetic, if you ask me. Fashion historian Alexander Vasiliev once said of Russian women that when abroad, “they dress as though ready to get married at any moment.” This probably comes down to the fact that Russian women tend to dress like this anyway, often sporting stilettos and a dress just to nip out to the shops. It seems that going abroad merely strengthens the case for this, with 43% of Russian women agreeing that it’s “important to dress fashionably” on holiday, making them the most fashion-conscious women in the world. This has also led to a strange demand for irons in hotel rooms, with one hotel owner recording 100% of her Russian guests as having asked for ironing equipment. Ever seen an immaculately-dressed woman posing for what seems like hundreds of photos by a fountain? Of course you have. We all have. You needn’t wonder any longer – she’s almost definitely Russian. Selfie culture is massive in Russia, which has become the second most active country on Instagram (after the United States). And what’s better Instagram material than you on your travels abroad, surrounded by palm trees and beaches, dressed like you’re ready to get married? Sounds like a photo op to me. The lavishness that Russians put into their appearance on holiday can translate to their general behavior, too: Russians typically spend a lot of money when abroad, and tend to leave generous tips. However, Russian tourists are pros when it comes getting hotel freebies à la Ross and Chandler from Friends. As one Russian joke goes, “Everything that isn’t screwed to the hotel floor is a souvenir.” One unnamed government official has even been said to have taken a leather folder from a five-star hotel. Finders keepers. Russian tourists are also well known for over-indulging at the all-inclusive buffet, following the rule that “a set table is testament to what you have been able to achieve in life.” Some have even been seen bringing doggie bags to the buffet. And you thought Germans were annoying by getting up early to reserve the free sunbeds? Well, one hotel claims that its Russian guests went a step further by taking the loungers back to their bedrooms. Check mate, Germans – English tourists, take note. Why are the people filming themselves with two-thirds of their body hanging off the Burj Khalifa always Russian? Where does the craze for parkour among Russians abroad come from? Is going abroad some kind of rush to the head that makes them feel the need to put their lives at risk? Is sunbathing too relaxing for these nutcases? Alas, all these questions remain unanswered. This perceived insensitivity has clearly ruffled some feathers: The Russian Foreign Ministry had to issue its citizens a tourist etiquette guide in 2017, including advice about political correctness. 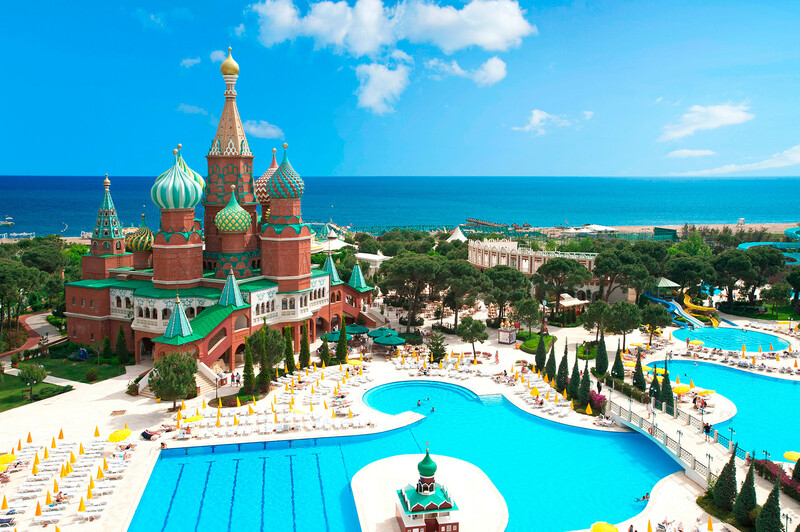 For many Russians, it’s not worth having to put up with the fuss – this explains (at least in part) the rise in popularity of resorts like the Kremlin Palace in Antalya, Turkey. Nope, no irony here – just genuine appreciation of the pilot. Russians can be a superstitious bunch, so even though the pilot can’t hear them in his sealed cockpit, they like to thank him/her for steering them back to mother Earth. This one is quite nice, actually. There are several theories behind the applause, however.